Do it on the table. 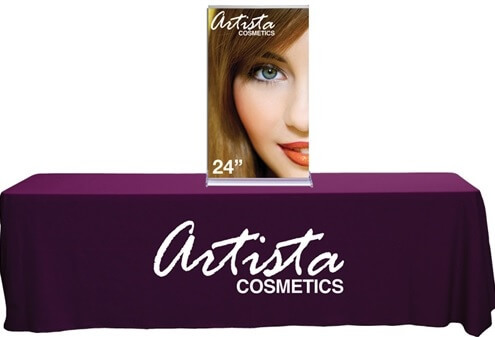 Banner stands make for the best portable marketing & branding tool around, either on the floor of on the table top. 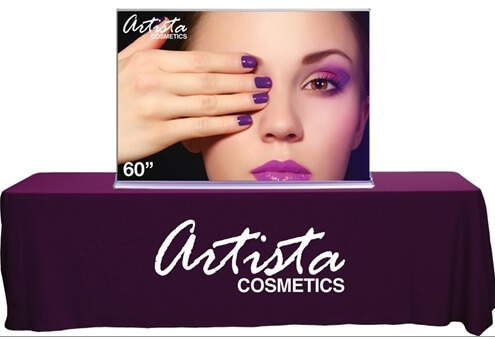 All graphics are printed on 15-oz matte Super-Flat tear- & curl-resistant vinyl. 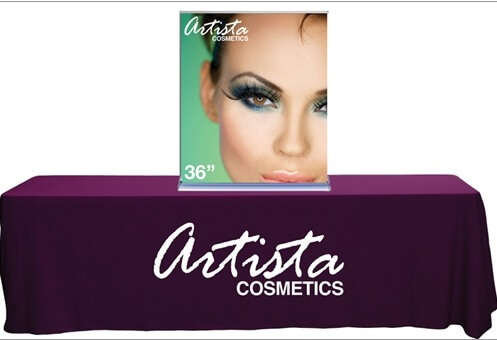 Table top marketing at it's finest, these banner stands compliment any printed table throw they're sitting on top of. No reason to shop anywhere else: We've got banner stands galore, the best prices and free ground shipping inside the U.S. No minimum orders & no catch: Our banner stand prices include the hardware + the print + carry bag. Bulk discount pricing always available - come save!